Browse serving-trays suppliers by country and region. Short on time? 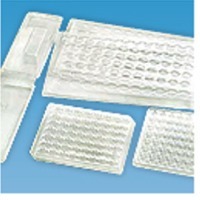 Let serving-trays sellers contact you. Acrylic tray for kitchwrae or restaurant serving. Customer's drawing design and colors available. Specification : Product Name	; Dessert Tray with Cover Material: Acrylic Color: White / Transparent tray, Transparent cover Shape: Round, Dome top Size	: 13-3/4" dia. x 8-1/4"H Features: This display tray stand has round shape with a simple design. 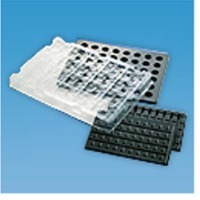 Each tray goes with one clear dome cover. Suit any bakery house or restaurant for their pastries, cupcakes, and cookies’ display. Specification : Product Name	: Serving Tray Material: Mahogany Shape	: Rectangular Features: The wood serving tray is a shallow platform designed for carrying food. It is a very popular item in restaurant, bar and other places needs to serve meal or dessert. Specification : Product Name: Round Pastry Tray	Material: ABS Plastic Color: White Shape: Round Size	: 12-1/2" diameter Features: The bake ware display serving tray is prefect for any Pastry, bread, donut or snack. The ABS plastic material is very strong, round shape with 12-1/2" diameter suits most of bakeshops, coffeehouses or even the home garden parties for serving food and dishes. Zhaoqing Winkit Duan Inkstone Co., Ltd.
1) Stainless steel 201 2) Thickness: 1.0mm 3) Polished and welded well 4) Knock-down structure, supplied flat-pack 5) Four-inch castors, two of them are lockable 6) High Corrosion resistance and High Concussion resistance 7) Product size: 470, 620, h1735mm. 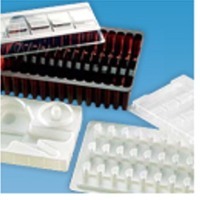 1set/carton Packing size: 670,820,H1735 G.W:24 KGS. It is useful to serve any coldrink, juices, sweets, snacks, mouthfreshner etc. Available in various sizes, meenakari colors & finishes. Customize design are also manufactured on demand. And suitable gift for any occasion. Beautifully designed tray used in art- loving households and establishments for various applications. It gives an aesthetic look and reflects the combination of traditional elegance and contemporary convenience. Special features: elegant looking, light weight, eco-friendly, handicraft work of specialized rural artisans. 1) Durable and practical. 2) Handcrafting enhances the appealing richness and natural texture of the bamboo. 3) Can be custom-made according to you. Size: 400*260*60mm. This 15" x 12" iron tray is made from iron strips, beautifully woven by specialized hands. Having done copper finish it gives rich look.